Most months have special holidays, and January is National Mentoring Month! Mentoring is one of oldest and most popular teaching methods all over the world. Having a mentor is like having a personal coach that has more experience or skill in an area and is willing to share that expertise. We can all find ways to help each other learn something new or to grow in skill that is challenging. We all benefit from learning something one on one, and this especially true for children. When you help the child memorizing a word, or help them learn to read a book, or just help them build with blocks, they will love that you took time to help them.They will soon be doing these things on their own and wanting to help their younger friends learn things to! When learning this way, the learner is guided the whole time and doesn’t have to struggle through it on their own. With gentle and positive support, they will learn how to perform specific task or learn a new skill. Mentoring isn’t just another way of teaching math or spelling rather, mentoring is a way of teaching self-confidence and help to learn new life skills. Mentoring is happening every day with your children! You are mentoring when you teach them to use a computer, how to set the table, and even tie their shoes. When your child knows they have support, they will be willing to try new things that you present to them and will be so excited about the new things they learn. 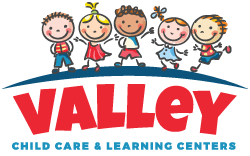 Enrolling your children in one of Valley Child Care or Cactus Preschool locations will enable them to have opportunities to be mentored throughout the day. As they participate in the many fun activities, learn with our exciting curriculum, and even have interactive play, they will continue to be mentored. We offer some of the finest child care services in the Phoenix area, so check out our location page by clicking here to find a center near you. You can also receive more information about our programs and a free coupon!